Some days, Ceduna smells like seaweed and salt water. The wind ruffles the cold ocean waters. Far south, slabs of ice shift. Other days, it’s all sand. Grit swirls through the streets, and at an open mic night at the pub a group of Aboriginal men jump up to play desert rock, crooning in Pitjantjatjara. Adelaide lies a long, flat 800 kilometres to the southeast; Perth is several days’ drive west. In March 2016, this coastal town became the first trial site for the cashless debit card, a new, stringent way of quarantining welfare payments. Just 20 per cent of a cardholder’s welfare payment is credited to his or her bank account, with the remaining 80 per cent sequestered on a debit card that can’t be used at any alcohol or gambling outlet. I have worked on the far-west coast of South Australia for over a decade now, and have written a book about my research into the entangled questions of mining, conservation and native title there. In the middle of 2017, I embarked on research about “lived experiences” of the debit card trial in Ceduna. I sought to hang around with and listen to people affected by the card, spending approximately three months in Ceduna over the last year and a half, and visiting Yalata on four occasions. This is the anthropological method: it involves endeavouring to become a part of the everyday lives of the people one is hoping to better understand. I have volunteered for the Red Cross’s Driver Mentor program, accompanying learner drivers around town. “I’ve got my bush licence,” joked one confident young person who learned to drive at an early age out at the former Koonibba mission. I’ve also driven with people who have settled in Ceduna as adults. I’ve singed the fur from kangaroo tails over a smoky fire in the mallee scrub, and watched evening tennis matches as galahs careen low across nearby paddocks. I washed a lot of tea cups at a local drop-in centre; I joined the gym. I was not there to generate more statistics, to abstract or to generalise. I asked people about their prison tattoos. I learned how tricky it is to germinate Sturt’s desert pea seeds. I watched knitting projects take shape. I asked people about their working lives and I also asked people about forms of labour that don’t get recognised as work: the care of siblings, of close kin, of other relatives’ children, or of the sick and grieving. Sometimes I borrowed a bike, sometimes I gave or accepted lifts around town. I called in at the craft shop to check for fresh eggs and jelly cakes. I found at the Aboriginal arts and culture centre an eye of focused creativity and peace in the midst of a chaotic storm of circumstances and events that were often desperately cruel. I remain dazzled by the large canvases by consummate artist Verna Lawrie, the energy of Glenda Richards’s Seven Sisters works and the meticulous detail in Ashley Pompey’s paintings. 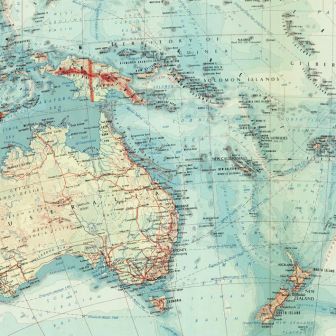 By September 2016, the Ceduna trial covered 752 people, including the residents of the remote community of Yalata, northwest of Ceduna, and a number of other nearby Aboriginal localities. 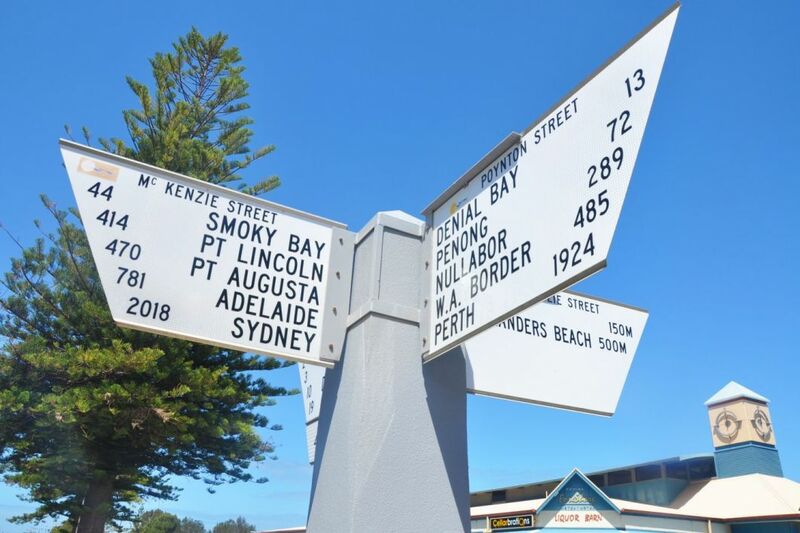 Although census data shows that only around 22 per cent of the 3500 people who live in the Ceduna local government area (which excludes Yalata) are Indigenous, around three-quarters of the people on the trial are Indigenous. A second trial of the card, in Western Australia’s East Kimberley region, began in April 2016 and a third started in the Goldfields region of Western Australia in March 2018; in both regions, the card is issued to all welfare recipients of working age except if they’re on a veterans’ payment. 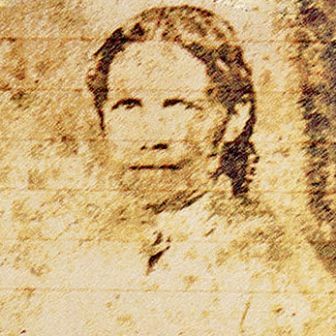 At the site of the fourth trial, a predominantly non-Indigenous area including Hervey Bay and Bundaberg in Queensland, the card is issued only to those aged thirty-five and under. The card originated in a report published in 2014 by a mining magnate that was subsequently taken up, modified and implemented by the federal government. In The Forrest Review: Creating Parity, Andrew “Twiggy” Forrest called for what he called a cashless Healthy Welfare Card. When I asked about the origins of the scheme, one of the card’s proponents in Ceduna immediately nominated an opinion piece by Forrest in the Australian around the time of the report’s release. Another interviewee emphasised that this was “co-designed” social policy — that conversations with Aboriginal community members were crucial in the lead-up to the agreement between the federal government, the Ceduna district council and five Indigenous organisations in August 2015. Journalist George Megalogenis has recently described those Australian regional and rural areas that have largely been bypassed by two decades of skilled migration as being “older and whiter than the nation at large,” warning that Australia risks a split “between those who are globally connected and those who are yelling stop.” Of course, Megalogenis has in mind the populist movements fuelling Trump’s election and Brexit, and, in Australia, Pauline Hanson’s political resurrection. But other grassroots political possibilities are evident in Ceduna, where a tenuous alliance of affected citizens has seeded new friendships. “It did bring the Aborigines and the whites closer because we were working together with a single aim,” says one opponent of the card. A small group of locals arranged for a public meeting to take place the month following the agreement’s signing, at the Foreshore Hotel. About thirty people, Indigenous and non-Indigenous, old and young, went along — “the biggest variety of people,” according to one of my interviewees. “We tried to get the mayor to come,” I was told. “We give them all invitations to come. ‘This is your community people here: we want answers. We want a consultation, that we were never given.’ But no, we were on our own.” Another person told me, “Basically the feeling was: how could this go on without us… knowing. Without talking to people about it?” Two more meetings organised by concerned locals followed. It was only after the federal legislation implementing the card had passed on 15 October 2015 that a more widely publicised public meeting was held at a local football club. This one was attended by the federal human services minister at the time, Alan Tudge. Two weeks later came a protest organised by card opponents. “We marched on the main street!” I was told proudly. The perceived contempt shown to a senior figure from Yalata at that November 2015 meeting at the club made a deep impression on a number of my interviewees: “Mr Tudge was so rude. He was so rude to that lady and she’s an Aboriginal elder, she’s really high up in their hierarchy. I had never seen anybody… He just totally ignored her. It was just awful.” Sure, meeting attendees rambled, were nervous, or furious, says another interviewee, but they were there to express themselves, remembers another. A number felt that some of the government visitors, standing at the back of the hall with their arms crossed, were “snickering” at the contributions of some of the attendees. Why was the debit card first tested in Ceduna? There’s a long and complex answer to that question — and it partly depends on whom you ask, of course — but drinking is central. Who is drinking, and how to help them stop are the key questions, and they have no easy answers. A Senate inquiry into the debit card legislation drew numerous submissions highlighting the Yalata community’s resolve to stem the flow of community members into Ceduna chasing gubby, or grog, and detailing the heavy costs involved. 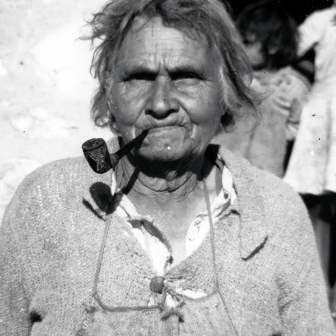 An elderly Pitjantjatjara woman explained to me that she was constantly counselling kin she encountered in Ceduna. “I say, ‘Wiya, wanti [no, leave it]… get on with your life, hey? You’ve got kids. You’ve got family at Yalata. Why, what are you doin’ here?’” The broader Indigenous community on the far-west coast has been grappling with the effect of alcohol on the community’s health and happiness for decades. So, while many of my Aboriginal informants expressed cynicism about their “leaders,” ”representatives” or cousins who sit in an office and sign away their community’s rights, and speculated about how they were induced, threatened and/or rewarded, my belief is that they are community-minded people in search of a circuit-breaker. But focusing on the intentions of those in positions of institutional power is not the point. What I’m here to find out is what it’s like to be on the debit card. It’s like being “taken back,” an elderly man told me, “to the days when old people were given a pinch of tea, some sugar and salted beef.” Or, for some Indigenous and non-Indigenous women, it’s like being taken back to periods of their life when they were controlled by — “under the thumb” of — a “bossy man.” How grimly ironic, given that the state casts itself as protecting women by restricting the amount of cash available to be pooled and drunk away. This same logic, of course, was also deployed in the Howard government’s 2007 Northern Territory intervention. Dustin went further: “But to be on this card it feels like, I tell you, if you’ve ever been to prison…” I haven’t; he has. “Stripped of rights” again, he feels that being on the card results in unending stress. The shame-inducing aspects of this punitive and race-based policy are consistently highlighted by opponents of the card. 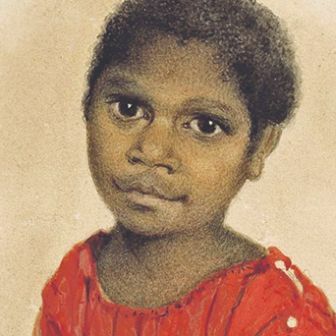 Drawing on a survey of participants, the evaluation of the pilot says that “only 4 per cent… explicitly raised ‘stigma’ or ‘shame’ associated with the card as an issue at Wave 2.” In the Wave 1 data, collected nine months earlier, around six months into the Ceduna trial, the figure was 6 per cent. But shame can be hard to measure. It creeps across cheeks, or makes one fumble or look down, feeling squashed. Shame might recur as experiences accumulate. Robert, for example, remembers moving schools and suddenly finding himself “one little blackfella” in a large high school. “I just felt so alone… I was sort of copping it left, right and centre: black this here, black that there.” A short survey is a woefully inadequate instrument for capturing that kind of experience. This shame was experienced most acutely after the card was first introduced. As one person said, “I felt like I was, what do you call…? A stigma was attached. You were being segregated. You know, you were looked down upon.” Here’s Robert again: “I just feel like I’m another person to blokes that’s got regular job, and me, pulling the grey card out in front of them, that’s embarrassing. ‘Oh, he’s on the Indue card,’ you know.” (Indue is the company contracted by the federal human services department to issue the card and administer the trial.) “Yeah, you get your little smirks and stuff like that around the place.” Another response was to shrug off shame defiantly — why should I feel ashamed? some people said. I am not lesser because I need government assistance. These experiences notwithstanding, many people I spoke with took care to note that “some people” like the card. It was nearly always women who told me they liked it; they like the app they can use to check their card’s balance, and are pleased to find more money saved at the end of the fortnight. But it’s not correct to assume that people with drink, drug or gambling problems are opposed to the card, and clean-living recipients accept it. I came to see that the most articulate and passionate critics of the card were often those attuned to broader colonial, racial and social injustices and injuries, and sought to understand the card in a historical perspective. They had a lot to say, and our conversations ranged from terra nullius to the implementation of the Community Development Program, a disastrous federal employment scheme that many of my research participants are also enrolled in. Those who liked the card, on the other hand, tended to leave these larger issues in the background, with more immediate familial concerns claiming their attention. Responses to card proponents’ frequent assertions that things are “quieter” in town were mixed. Is it true? If so, is it the card? Or is it the work of the mobile assistance patrol bus, which transports people home or to places where they can rest and rehabilitate? (The bus is part of a concerted “service reform” project under way in Ceduna since 2013.) Or is it the stringent electronic “ID tech” system restricting the purchase of alcohol, introduced in 2012? It could equally be the community paramedics, who have worked humbly and with great success since September 2016, building up relationships with the Aboriginal community and connecting people with the medical system before things get dire. In the East Kimberley, the cashless debit card is referred to as the “white card,” because of its perceived imposition of white designs. In Ceduna, it is the “grey card,” after its silver-grey appearance, or the “Indue card.” Researchers Elise Klein and Sarouche Razi have established that Indue was granted more than $10.8 million (of the $18.9 million spent up to April 2017) for building and operating the card technology in both Ceduna and the East Kimberley during the trial. Consultancy firm ORIMA was contracted to evaluate the pilot. The shortcomings of its evaluation have been highlighted by numerous authors, who point out that self-reported “behaviour change” may well be influenced by the interviewee’s reluctance to admit to drinking or, especially, illicit drug use (a limitation acknowledged by ORIMA). Most damningly, the Australian National Audit Office released a report in July 2018 analysing the implementation and performance of the cashless debit card trial. According to the auditor, it is difficult to ascertain “whether there had been a reduction in social harm” as a result of the card’s introduction. Here is not the place to discuss the abysmally low Newstart payment rates, and the fines regime of the Community Development Program. But it is important to note that when people flog a big-ticket item for less than they paid for it, or use their debit card to fill someone else’s fuel tank but accept a lower amount of cash as payment — both examples my research participants related to me — people with little to spare are further impoverished. I have spent time with people who told of their serious problems with alcohol over the course of their lives. As I got to know them, they spoke more candidly about the long process of overcoming their addiction as well as the traumatic life events that precipitated their descent. In each case, these people had endured horrific deaths of those closest to them. The conjunction of support from other individuals, personal determination, access to rehabilitation services, and the other assistance that enabled them to break their drinking habits casts doubt on whether a blunt instrument like the card can stimulate any meaningful transformations. White Australia has long believed that the mistreatment of Indigenous Australians could never be perpetrated against them, but we are already seeing this happen with cashless welfare cards being rolled out to non-Indigenous people, work for the dole, and other punitive measures that were first trialled on Indigenous people. The denial of rights that Indigenous people never even got the chance to enjoy is now plaguing the rest of the country as well. I am the grateful recipient of a Macquarie University Research Seeding Grant, which supported the fieldwork undertaken for this research. Eve Vincent is a Senior Lecturer in Anthropology at Macquarie University. 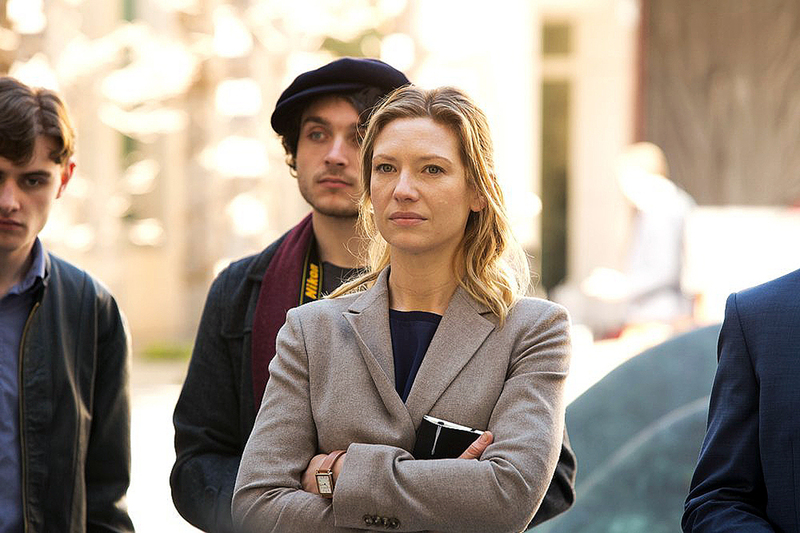 Poised and restrained: Anna Torv as Harriet Dunkley in Secret City.